First time in the league? Get up to speed with our online guide. Copyright © 1999-2019 Four Horsemen Racing. 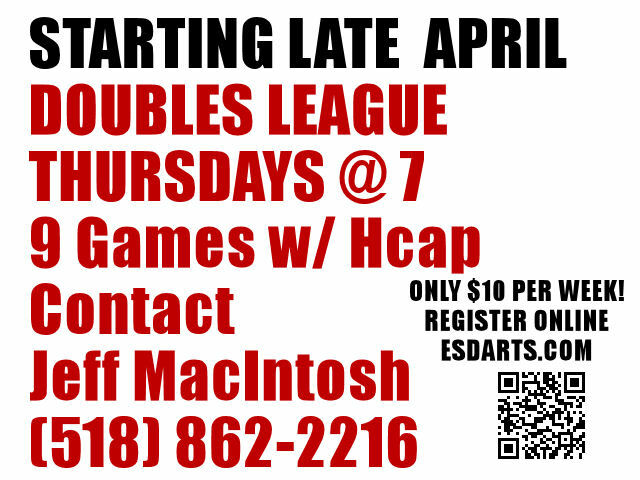 Empire State Darts is a soft-tip dart league based in the Capital District area. Whether you are a seasoned dart player, or a beginner, there are many options at your disposal. Take time to browse our League Profiles to help you decide what league is right for you. Between the options of an in-house, travelling, or remote league, you can be sure there is always something available for you to sign up and play. Spring Leagues Have Been Announced! See Below! It's a chance to unwind after a day's work. It's an opportunity to meet new people. It's a place where you can enjoy some friendly competition. It's that moment when you beat your personal best. 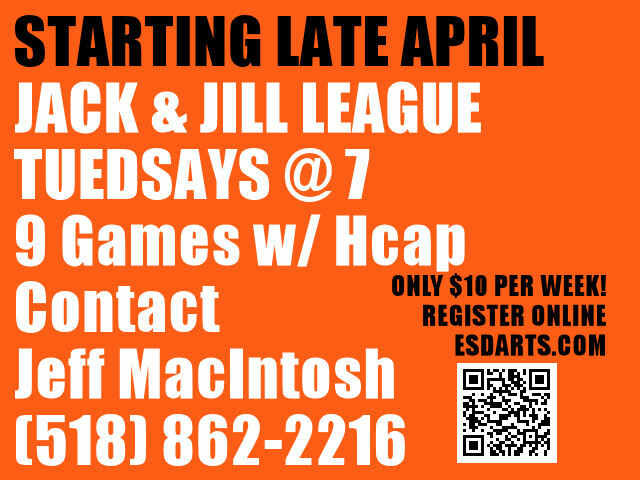 It all happens one dart at a time...Join a league with Empire State Darts today! Join us and get in on the fun! Darts is a recreational sport for all abilty levels. COMING SOON FOR TO G3 AND GRAN BOARD! These new leagues will have the CPR Cap system implemented. This system helps maintain the ability levels within a reasonable range, and makes for better competition! These leagues are going to most likely cater to the beginners and casual players out there who would like to play in a league format, perhaps for the first time. As these leagues grow, additional CPR Cap levels will be set up to offer a place for improving shooters to play. They will encompass the Albany and Troy-Vliet areas. The goal for all travelling Doubles leagues is to create a three layer TEAM CAP system. Team Cap is measured using a CPR (Combined Player Rating) at the time of registration. New players will not initially know what their ability is until they get a chance to play, and establish an average. With the help of the League Coordinator, an estimate of your ability will help determine which Cap you belong in. The three layers are 80, 100, and 120 CPR. How do we determine your CPR? All of our leagues have what is called a Player Rating alongside your MPR and PPD averages. Player rating is calculated as PPD + (10 x MPR). PPD = Points Per Dart for '01 games, and MPR is Marks Per Round for Cricket games. Once you have established your average, say you have a PPD avg of 24.00 and a MPR avg of 2.30. Using the Player Rating formula above, that would give me a Player Rating of 47.00. To play in a league with a Team Cap of 80, you would need to find a person with a Player Rating of 33.00 or less when you sign up. Now that could be tough because that means you would need a partner who generally would average 17.00 Points Per Dart in '01 and 1.60 Marks Per Round in Cricket to fit under the 80 cap. If you want to team up with a better player, you would need to play in the next Cap level up, which would be 100. That would give you more room to team up with another player with a Player Rating of 53.00 or less (2.60 MPR and 27.00 PPD). An 80 CPR would be two people who average 2.0 MPR and 20.00 PPD or less. A 100 CPR would be two people who average 2.5 MPR and 25.00 PPD or less. A 120 CPR would be two people who average 3.0 MPR and 30.00 PPD or less. Once you become familiar with it, it becomes very easy to understand where you would fit in. These are set up in the interest of creating leagues with people of similar ability from the start, yet provide a venue to improve your play. As the season goes on, all teams are allowed to have a CPR 25% above where the cap they started in. This will allow teams to gradually improve over the season. When they do, the next time they play, it would be in the next cap level up, in a group of people where they are closest in ability to. Going over the 25% ceiling would require a substitiute with a lower Player Rating. This would be a rare occurence since you would have to improve by 25%, which is substantial. 1...To provide a bracket of reasonably balanced teams to make league play fun for everyone. 2...To create a dynamic where the number of teams grow out of the necessity of adding additional players to remain playing within a Cap level. 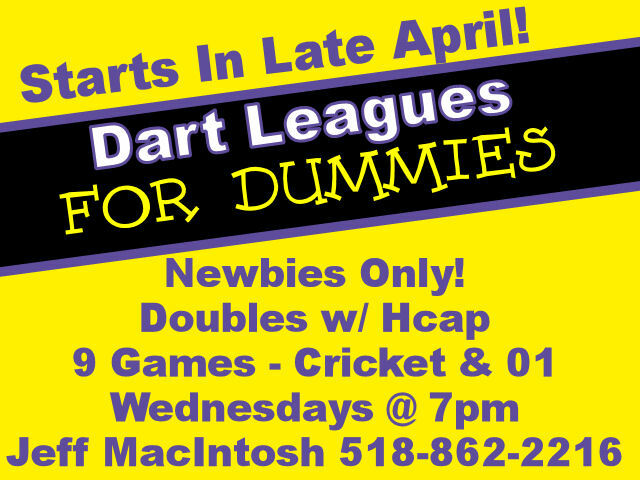 3...To foster a more cohesive community of dart players that will work together to create teams and play, rather than quit because a partner can't play, and not know anyone else well enough to find another partner they can play with. Copyright Four Horsemen Racing 2019. All Rights Reserved.